An excerpt from Bouchereau’s Education des femmes en Haïti (1944). 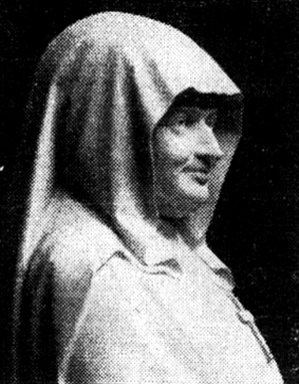 Bouchereau was a feminist leader who founded the Ligue Féminine d’Action Sociale. While she acknowledged Elie Dubois’s contribution to education in Haiti, she criticized how young women were educated to work only in the home. In 1859, there were forty-nine primary schools for boys, two schools for girls, and three high schools. 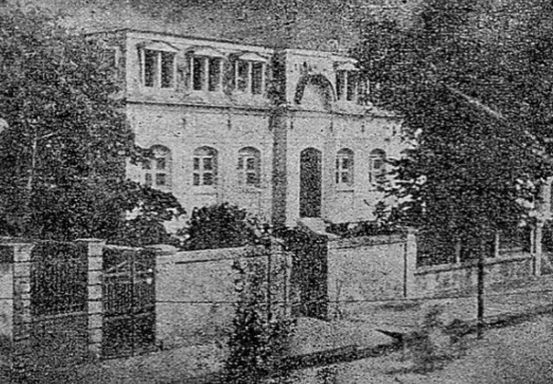 Under the leadership of President Geffrard and his Minister of Public Education, Elie Dubois, however, the number of schools increased considerably. By October 1861 there were two hundred and forty-two public schools. In addition many young people were sent abroad to complete their studies with support from the government. Of course, these scholarships were intended to train the future leaders of the country and were not given to young women. However, wealthy parents started to send their children of both sexes to France, where they would perfect their education. Usually the girls were sent to convents where they would be taught like French girls in that time period. The 1860 law enabled the [Haitian] government to create new boarding schools for girls in the provinces… In the primary schools for girls education included elementary and professional teaching: "Primary education: reading, writing, and the geography of Haiti. Professional training: sewing with a needle and a machine, knitting, and embroidery." In these schools, mornings were dedicated to classes and afternoons to handicrafts. 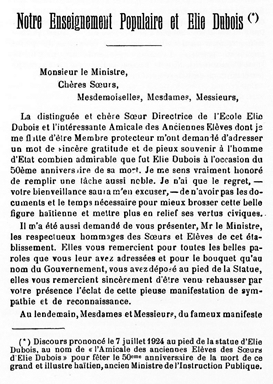 In a report to the president in March of 1860, Elie Dubois declared: "Schools for girls in this city have all the necessary conditions to offer a good education. Entrusted to clever and respectable women provided with well-educated teachers, they cannot fail to achieve the goals set by the government. There one learns embroidery and other needlework. These are very important tasks for young girls who are educated in accordance to their needs and who will have to provide for themselves someday." From this report, it is clear that Fenelon and Rousseau’s ideas were common in Haiti and that schools for girls prepared young women for their future role. Work considered to be essentially feminine, like sewing and embroidery, continue even today to occupy too much time in schools for girls to the detriment of academic studies. Thanks to the Concordat signed with the Holy See in 1860, catholic religious orders started to occupy a greater role in the education of the Haitian youth. From that moment on convents played the same role as in France. The Four Sisters of St-Joseph de Cluny arrived in Haiti on June 5, 1864. 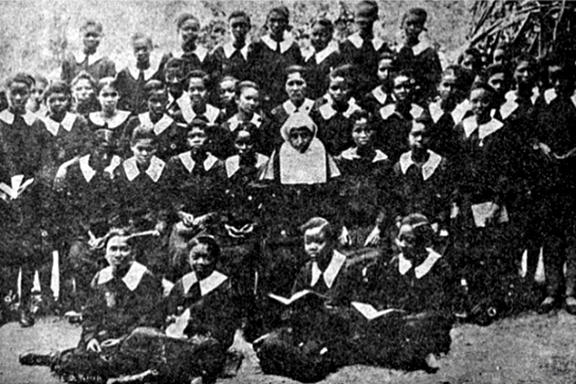 The Daughters of Wisdom founded their first school in Port-de-Paix on November 11, 1865. These schools, directed by French women, have contributed to the perpetuation in Haiti of French methods and the traditional education given in convents.